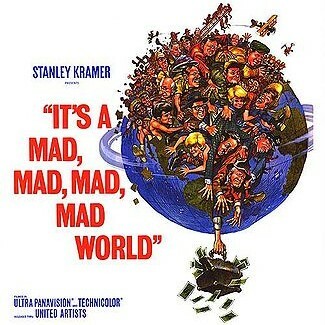 As British Gazette readers will recall, “It’s a Mad, Mad, Mad, Mad World” was produced and directed by Stanley Kramer and starred Spencer Tracy with an all-star supporting cast. It was about the madcap pursuit of $350,000 in stolen cash by a diverse and colourful group of strangers. The film premiered on 7th November, 1963. The reason for the use of this image is due to the fact that the Editor feels that the film’s title more than adequately describes the bizarre situation that now confronts the country. British Gazette readers may well have been surprised by the BBC’s inclusion of the item about fracking on last night’s news. The fact is however that the BBC could not have possibly avoided running this story pretty close to the top story – much as they would have preferred to bury it! Herewith is the news item from the Global Policy Foundation’s website (see link at the bottom of the article). British Gazette comment: This news is quite simply stunning! There should be dancing in the streets! But then of course there is not. For this is NOT a normal country. In a normal country the government of the day would be ecstatic. Mr Ed Davy the Energy and Climate Change Secretary should be deliriously happy. But they are not and he is not! But then this is NOT a normal government and Mr Davy is NOT a normal Secretary of State. Normal governments DO NOT willingly hand the governance and the law making powers of their country over to a Foreign Power. Normal Secretaries of State do not subordinate their allegiance to their Sovereign Lady, Her Majesty Queen Elizabeth the Second to an allegiance to a Foreign Power – in direct contravention to the solemn oath they took! It is a well known FACT that Mr Putin is most unhappy with the news that the UK and much of Europe are now able to produce their own gas and not have to buy Russian gas. Doubtless some in this government of dishonest dissembling cronies will seek to oblige him!